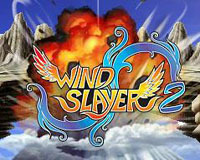 WindSlayer 2 is a 2D side-scrolling MMO with enhanced graphic and stunning PvP actions! As an epic 2D Side Scrolling MMORPG, WindSlayer 2 takes players into beautiful game stages and fantasy backgrounds that evoke the nostalgia of fairytales. With its distinctive game graphic offers an arcade style action and simple controls making it easy for players to enjoy the fun elements of the game. Players can compete with friends and guild members by entering various battle modes: Team Fight, Death Match, Capture the Flag, and more! Players can take on the role of the mentor and teach new players in exchange for rewards with the Mentor System! Also, players can create an exclusive private space with a variety of chat room themes and invite friends and guild members! Related Tags: 2D, action, Download, fantasy, Ignited Games, Side Scrolling.